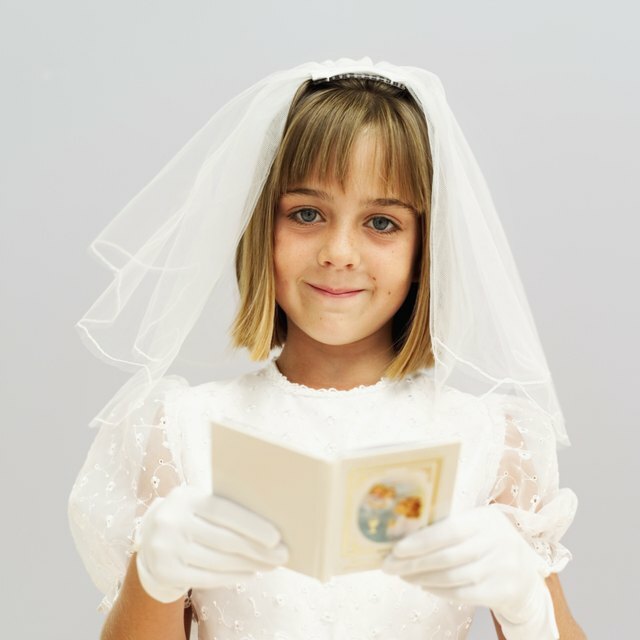 The first communion is a Catholic ceremony that boys and girls participate in at age 8. During the ceremony, the child participates in taking the sacrament for the first time. 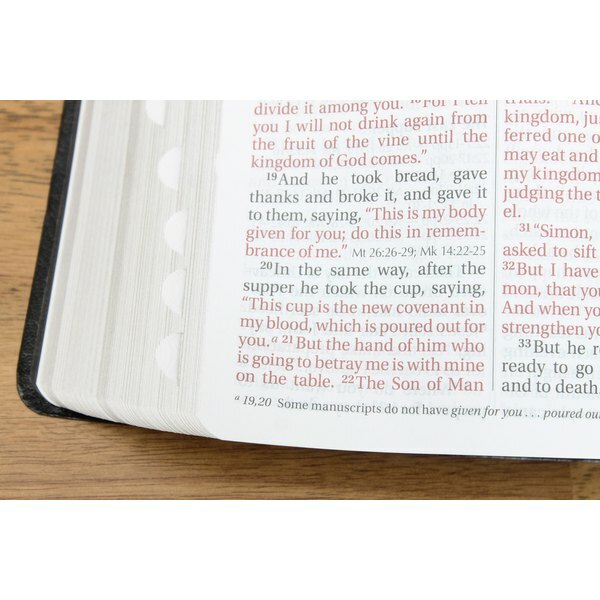 It is a ritual reserved for adults, so a first communion is like the first step to adulthood. The ceremony isn't the end of things, however. There is a very large party that parents plan in celebration of the first communion. Over time, traditions have come to dictate the behaviors and dress code for the first communion. The focus of communion dress is usually the girl participants. They traditionally wear ornate white gowns with veils, white gloves and shoes. The attire for boys is traditionally much simpler. The boys usually wear a white shirt and either a white or black suit. The appropriate shoes are patent leather dress shoes or loafers, whichever looks appropriate with the suit. The parents usually do not spend as much time on the communion outfit search as they would for a girl's first communion dress. Over the years, churches have become more lax with the rules for first communion dress. Depending on your church, the suit color may be varied. Some parishes don't require a suit at all. The attire modifications for a boy's first communion include khakis and a dress shirt, suit color variations in navy, gray, brown and more. More progressive churches allow parents to make their own choice. The first communions are thus a hodgepodge of formal suits and casual khakis, unlike the traditional uniform black- or white-clad communion participants marching up the aisle. Parents should never buck the church's tradition in communion wear. If the church requires black suits or the tradition is the all-white look, your son needs to wear the same. You can determine the traditions by asking the priest. Another option is to watch the first communions of other children in your church. Doing so will help you determine the dress code for your son. Boys should never wear informal wear to first communion. Shorts, jeans, T-shirts, sweatshirts and other informal clothing is not allowed, even in more progressive churches. The first communion marks the beginning of adulthood, so parents must refrain from cartoon character prints on the clothing. Such a thing is inappropriate for a serious religious ceremony.